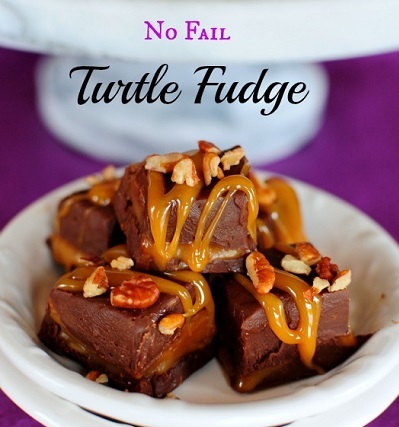 Turtle Fudge. I think the name says it all. This no fail recipe is not only delicious it is very easy. What more could you want when you add caramel and nuts to any fudge? This is great for any get together or just as a wonderful family treat.